I stumbled across this effect whilst trying to create a rock effect for a customized fan-font for the new Alcatraz TV series it looked so much like burnt and charred letters on a piece of paper hence the name. @princesssasha Glad you like it please spread the word. 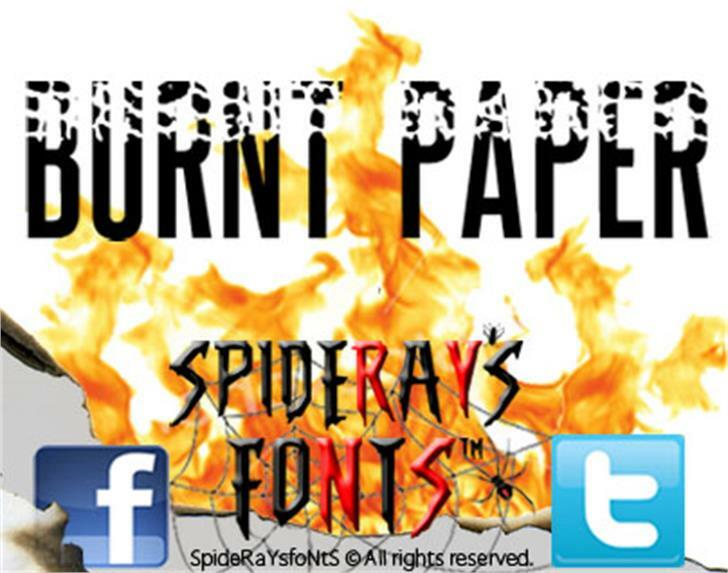 BURNT PAPER is a trademark of SpideRaY @ www.spideraysfonts.com.